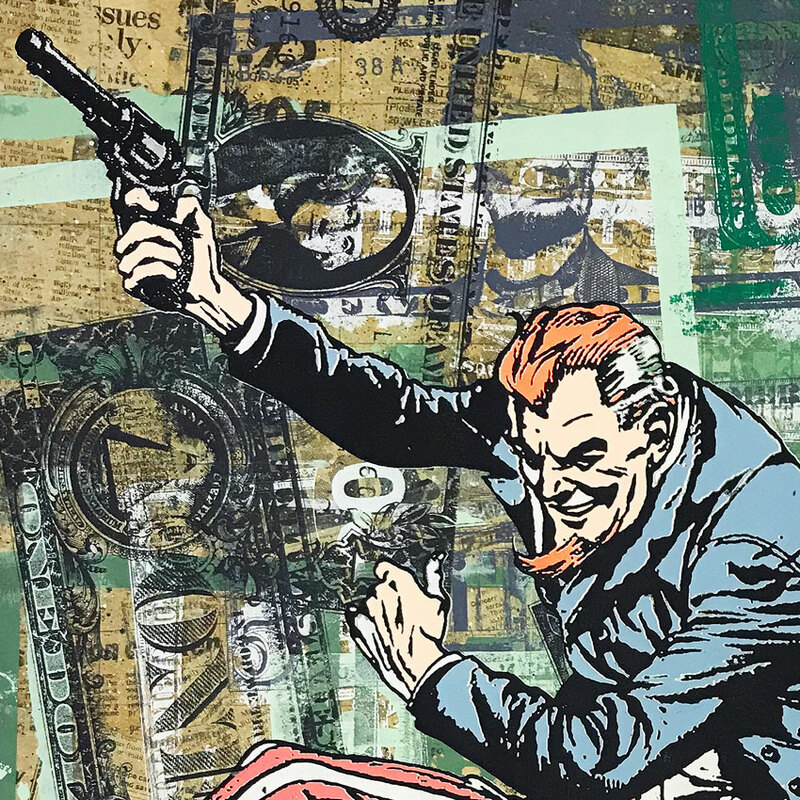 Just in time for the tax man to come and get his cut we welcome back Minnesota artist Greg Gossel who returns with the latest hand-painted editions in his Funny Money series! 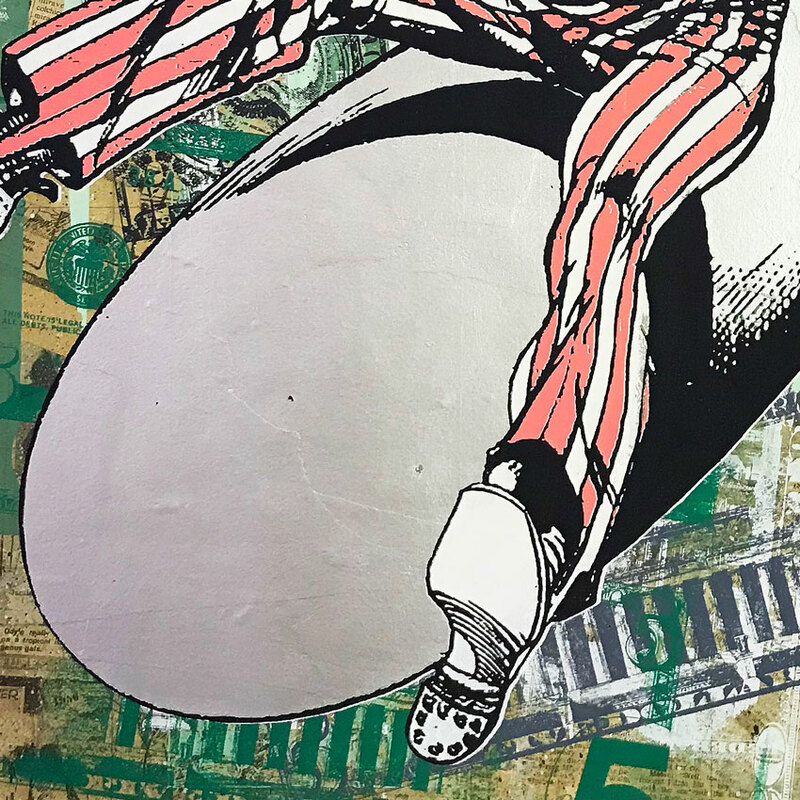 Each piece is uniquely hand collaged, painted and screen printed by Greg Gossel featuring unique vintage 1960s and '70s tabloids beneath layers of paint and screen print. 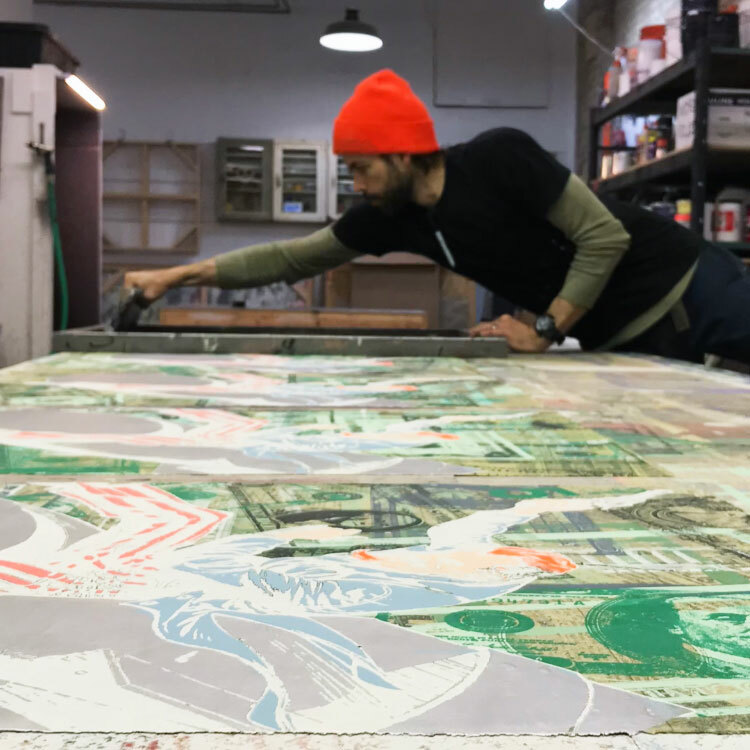 Read on as we catch up with Greg Gossel to discuss his latest editions and much more. . . 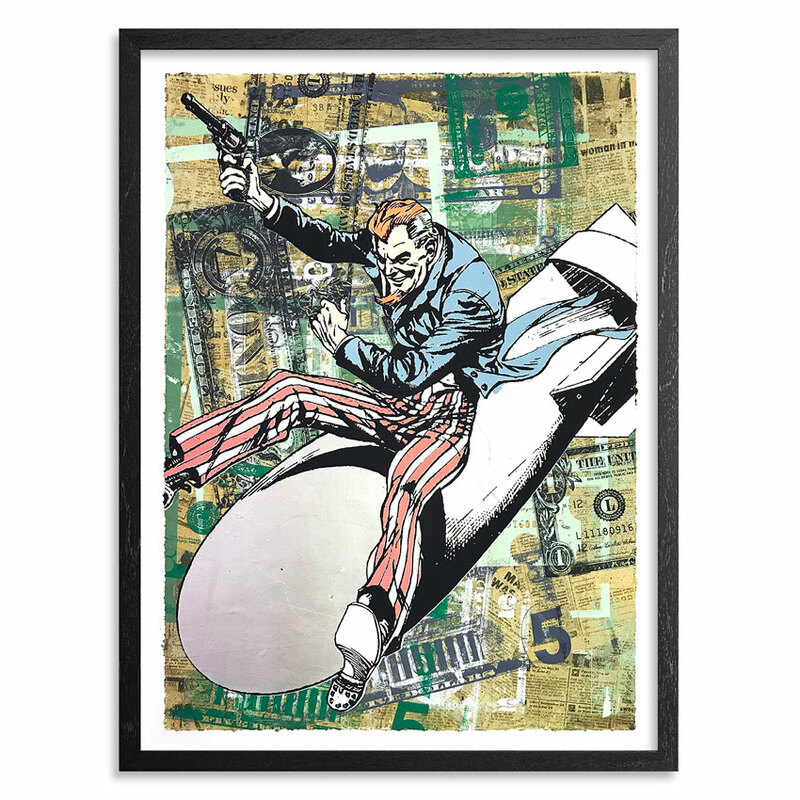 This RUN is signed by Greg Gossel and includes a Letter of Provenance from 1xRUN. 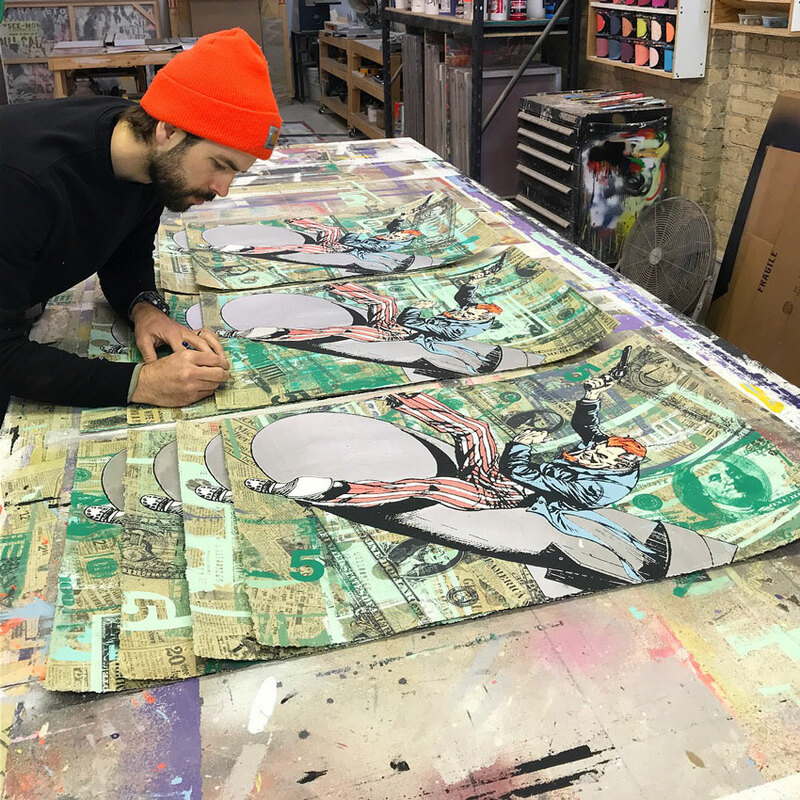 ABOUT THE ARTIST: Greg Gossel was born in 1982 in western Wisconsin. With a background in design, his work is an expressive interplay of many diverse words, images, and gestures. Gossel’s multi-layered work illustrates a visual history of change and process throughout each piece. 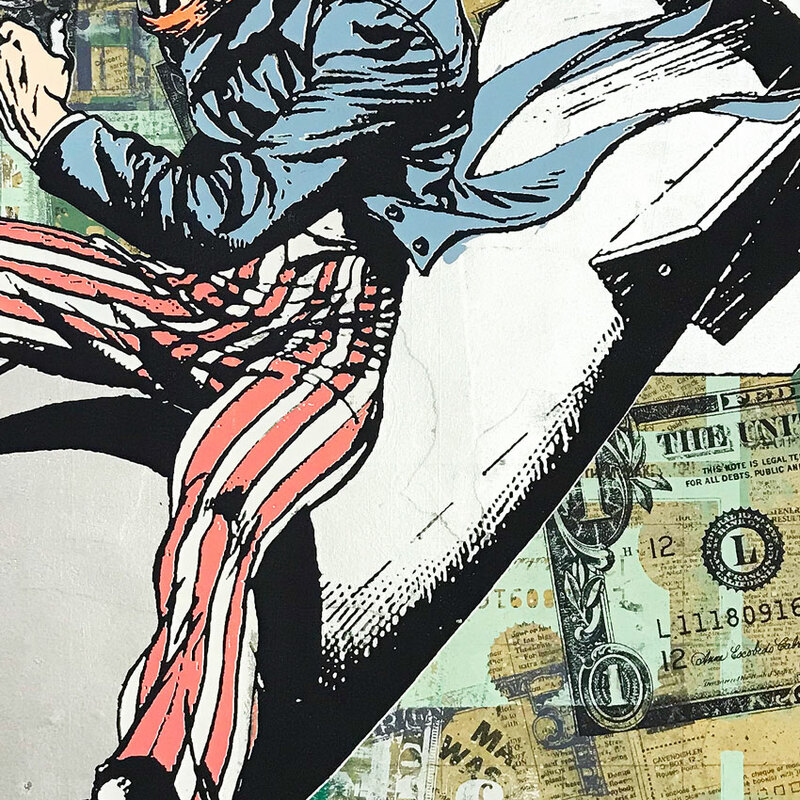 His work has been exhibited throughout the U.S. and abroad, including San Francisco, New York, Los Angeles, Copenhagen, and London. 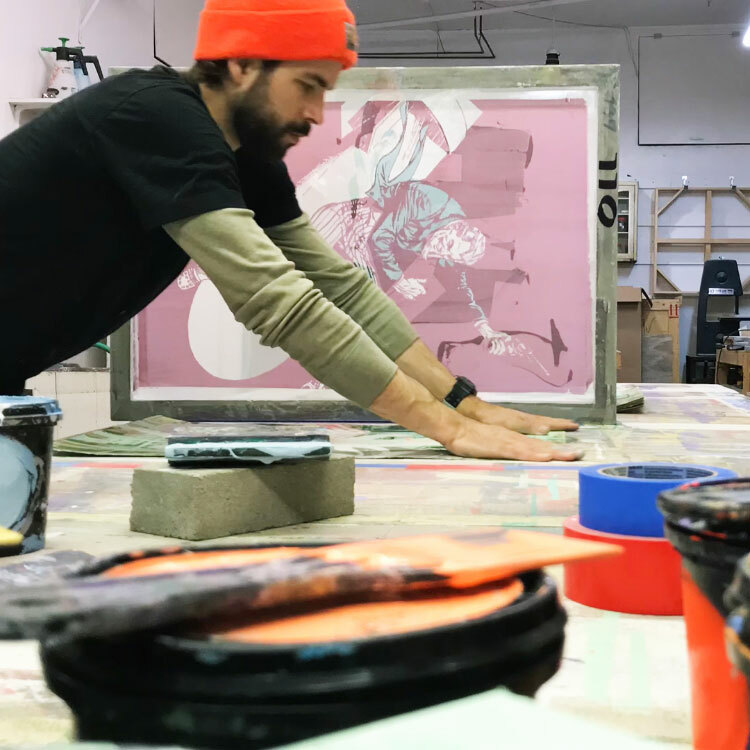 His commercial clients include Levi's, Burton Snowboards, Stussy, VICE Magazine, and Interscope Records while his work has been published in The San Francisco Chronicle, Juxtapoz Art & Culture Magazine, Artslant, and ROJO Magazine. Greg currently resides in Minneapolis, MN.